What are the best treatments for recovery from Depression? Chronic Depression is a very serious illness. It can be perilous at times. Governments, Universities and Research Institutes are putting lot of resources and manpower to find out the best treatments for recovery from Depression. Slowly clarity is emerging from the haze. A clearer understanding of how the brain is configured is leading to a better understanding of depression and identification of personalized treatments. In one such study in Emory University it was observed that brain scan may be able to predict how patients will respond to treatment with drugs vis a vis treatment with psychotherapy such as Cognitive Behaviour Therapy. The researchers concluded from the study that they can improve success in depression treatment and reduce remission rates which at present stand at 40%. This study by the researchers was published in JAMA Psychiatry. The researchers looked at Brain Glucose Metabolism in the 2 equal sized groups of participants using PET scans. One group was being treated with antidepressant medicines (SSRI) and other half were being treated with psychotherapy, specifically CBT (Cognitive Behaviour Therapy). Analysis of the collected observations showed that patients responding better to CBT demonstrated inhibited activity in anterior insula (a part of brain that is involved in processing emotions and keeps awareness of bodily sensations). Whereas patients that had more activity of anterior insula were responding better to medication. This study demonstrated that it is better to customize treatment for patients based on their brain type. Researchers are building on this study further. In the 2nd phase of the study they are checking if classification of patients by brain types according to insula will indeed lead to better treatment or not. 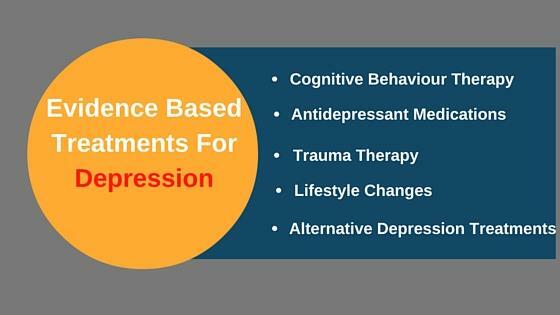 These studies are likely to lead to great number of further studies which will try to identify successful personalization of depression treatment based on brain subtypes. If the outcomes are successful then researchers will try extending these research into treatment of other psychological disorders like anxiety and bipolar disorder.